Technically this map is a US Highway Map but really when look at the whole of the United States of America do you really need a road map? That is what Google maps is for. What we have here a good reference chart that let’s you plan your next transcontinental trip. It has all the famous highways like “Route 66” but also has the minor and lesser known highways. We have kept it clear and easy to read. You just need to click on the map to enlarge it and you will be able to see all the small details. The map didn’t change much in the year 2018 and will not being changing in 2019. So you can consider this a Road map of the USA for 2019. It also has all the major US cities. 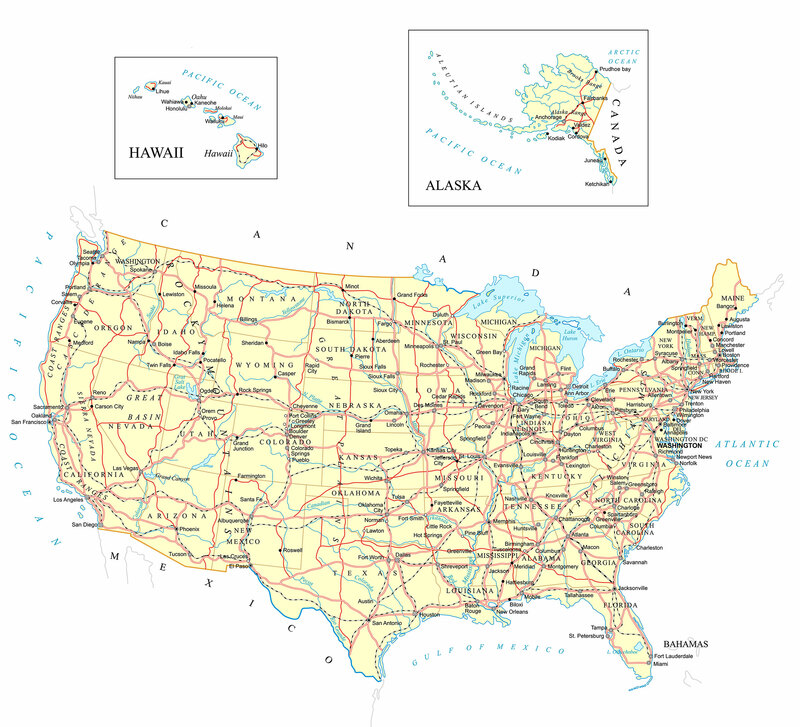 Go to this map for a more complete and detailed USA Map. We have added a very detailed USA Map to the site. 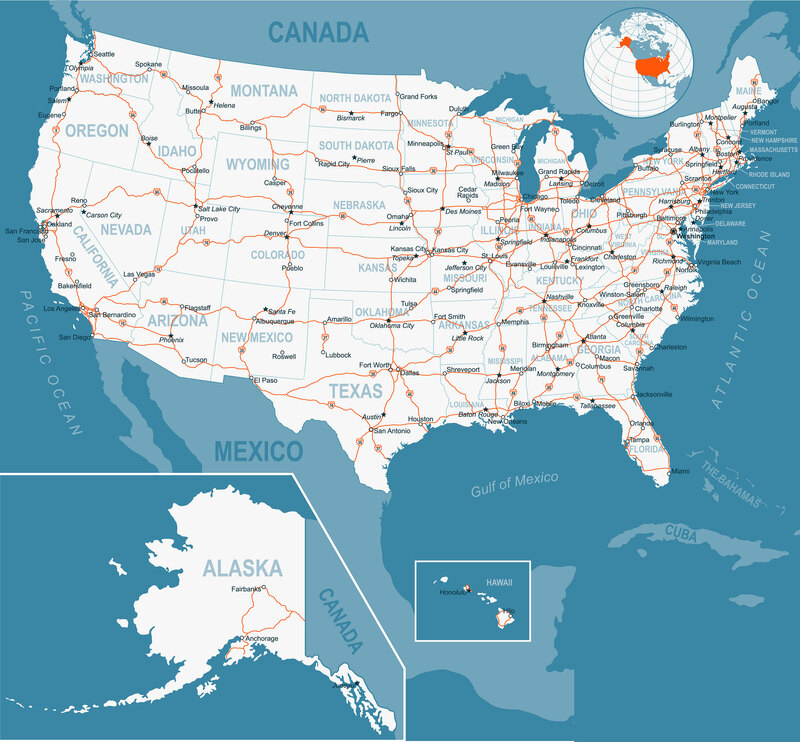 Our original map was meant to be simple but the feedback from users has been to provide a map of the United States that has more detail and can be zoomed into to see all those details. This is the most comprehensive USA map we have ever added to the site. Regular visitors to the site will have notice the flurry of activity in the last few months. We have made mapofnorthamerica.org a priority and there is much more to come. We will also be updating Canada map and Mexico map. Some interesting facts about the USA. We have an updated map of North America for 2019. Nothing has really changed in 2018 or 2019. Mexico is still south of the USA and Canada is still to the north. 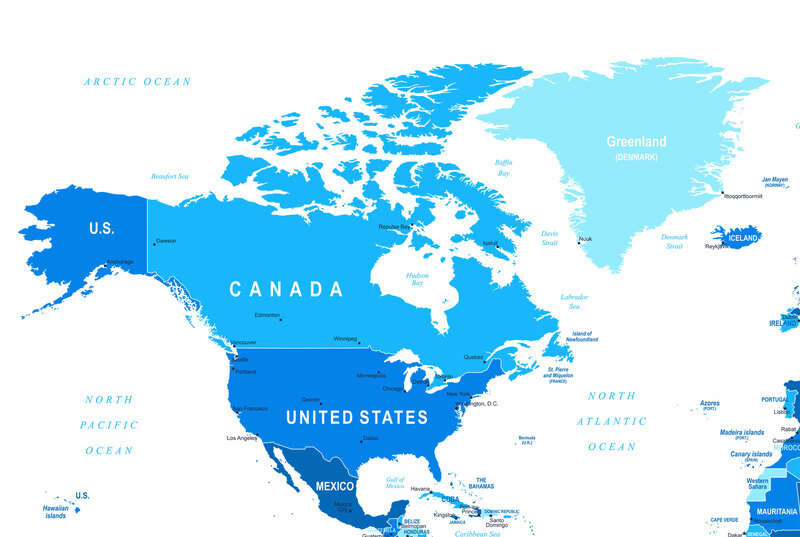 This map is pretty big simple map of North America. We will be adding more detailed map in the not to distant future. We will also be offering political and physical maps of North America and the countries that make up north America. This being The United States of America, mexico and Canada.